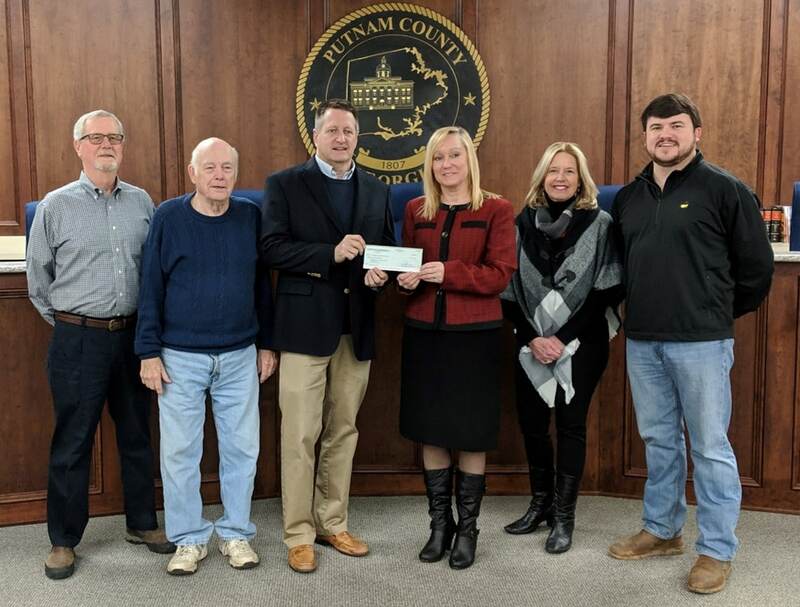 Near center, Greg Mullis, of Tri-County EMC, presents a $9,200 check to the Putnam Development Authority, including, from left, Chairman Ed Waggoner, Vice Chairman Eugene Smith, Director Terry Schwindler and board members Patty Burns and Joshua Daniel. At their first meeting in 2019, the Putnam Development Authority received a $9,200 check from Greg Mullis of Tri-County EMC on Jan. 14. The grant money comes from the electric company’s Bright Ideas Program, which are funds generated from unclaimed capital credits that otherwise would have been surrendered to the state. Mullis explained that out of the $30,000 used to benefit education in the Bright Ideas Program, some of those funds are carved out for economic development. “We are looking at replacing the Industrial Park sign,” PDA Director Terry Schwindler said about how the money would be spent. The PDA also introduced its newest member and elected officers for the year. Walt Rocker III was appointed to the PDA after Bill Sharp left to serve on the District 3 seat of the Putnam County Board of Commissioners. The board elected Ed Waggoner to serve as chairman, Gene Smith as vice chairman and Patty Burns as secretary/treasurer. 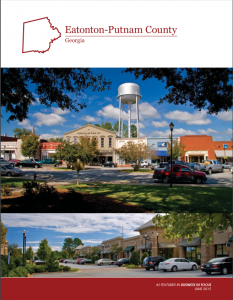 In other business, the Authority awarded the grading project at the South Industrial Park in Eatonton to Taylor and Sons of East Dublin, who submitted the lowest bid, of $699,097.50. The project includes clearing and grubbing the 38 acres; the installation of water system, storm drains and sanitary sewers; and erosion and sediment control. “It was the bid I was hoping for, but I didn’t think I’d get it,” said Paul Simonton of P.C. Simonton and Associates, who did the site design for the project. Schwindler said matching funds would be used from SPLOST and the operating budget to pay for the project, which is expected to be completed in approximately 180 days.